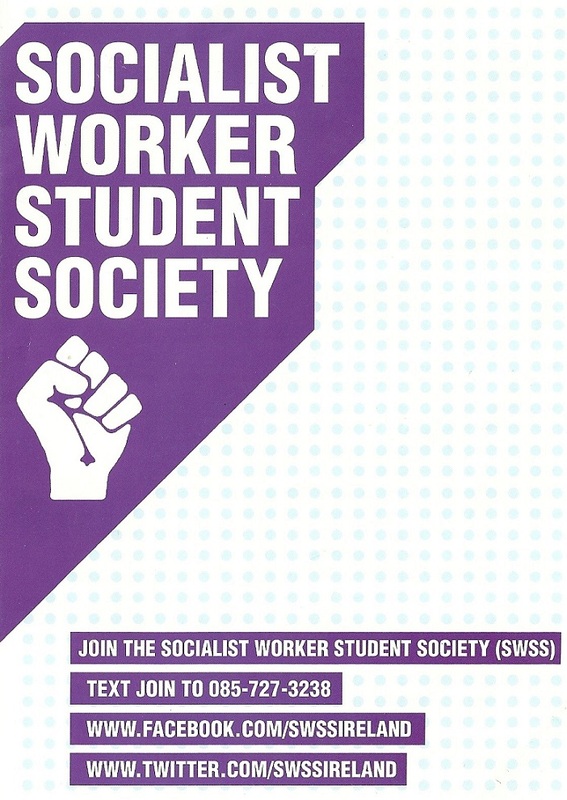 A Leaflet from The Socialist Worker Student Society from around 2013. 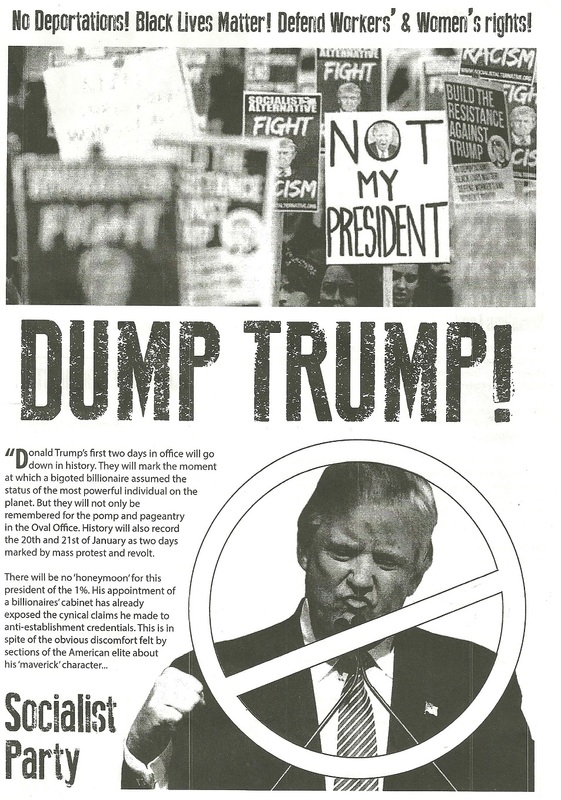 A “Dump Trump!” leaflet from The Socialist Party. 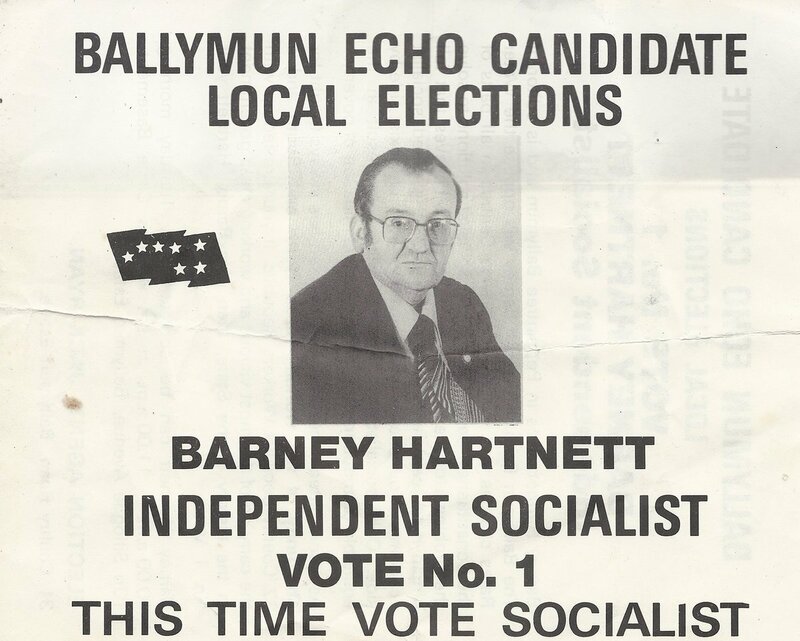 From the 1985 Local Elections a Leaflet from Barney Hartnett , then editor of The Ballymun Echo, running as an Independent Socialist in Drumcondra. He polled 232 votes and missed out on a seat. 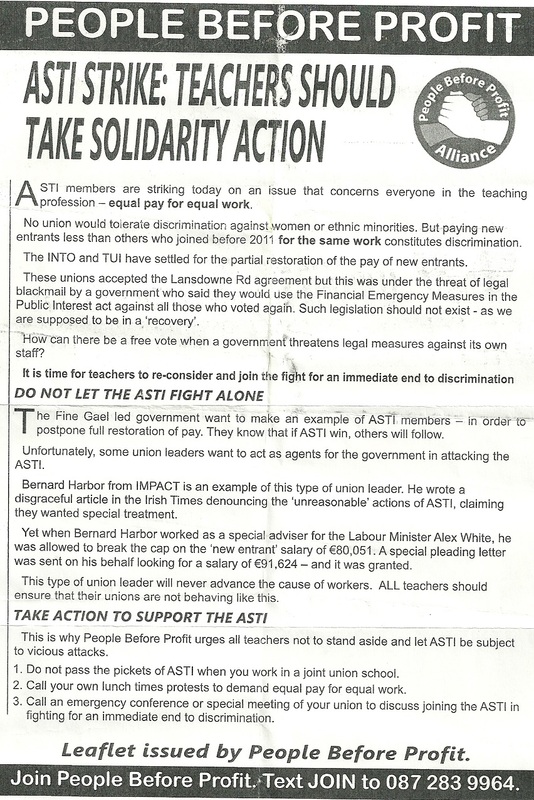 A Leaflet from People Before Profit “ASTI Strike: Teachers Should Take Solidarity Action” urging other teachers Unions to join ASTI in strike action. 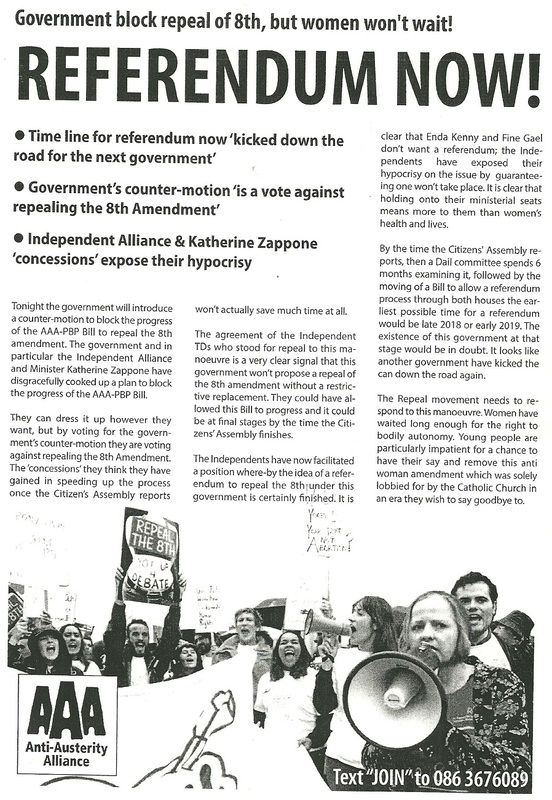 A “Government Block Repeal of The 8th , but women wont wait -Referendum Now!” leaflet from the AAA produced after the government issued a counter motion to the AAAPBP Bill.